I couldn’t be happier! My hubby is home for the weekend, we’re playing board games and I’m really just feeling grateful for today. This is from a Chinese fortune cookie that I opened ages ago, but somehow it kept kicking around and now I have it on a picture frame to remind me of what’s important. 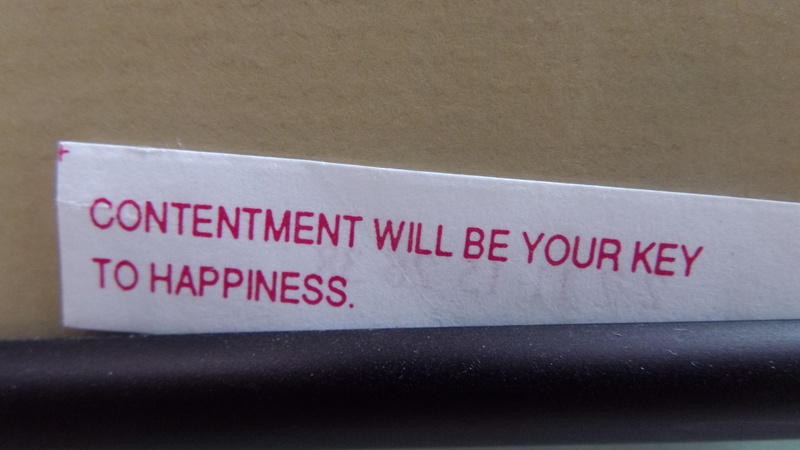 What fortune cookie messages have you kept? Previous Post Did you really just say there would be five stories in the series of YA Mabel Hartley books? Next Post Totals are in! Mabel has now been downloaded 95 times, but there’s still time today to get your FREE copy. Go to Amazon now!